UNITED NATIONS, Oct 6 2016 (IPS) - Countries of the Global South, also known as developing countries, share many principles in common when it comes to implementing the UN’s Sustainable Development Goals. 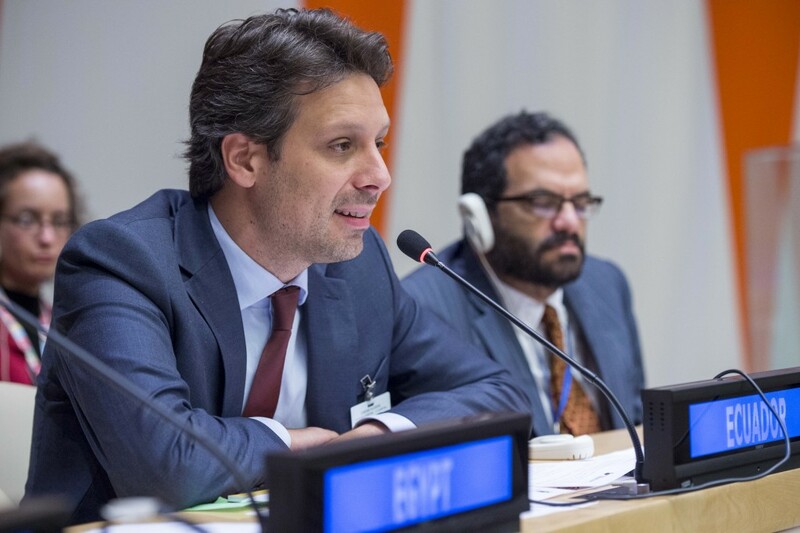 This was reflected at a special meeting of the 133 members of the Group of 77 on the sidelines of the UN General Assembly on 23 September, where countries participated in a lively discussion around development concepts originating in the Global South. The main theme of the discussion was Sufficiency Economy – a philosophy of the King of Thailand Bhumibol Adulyadej. “Thailand adopted the Sufficiency Economy Philosophy (SEP) of His Majesty the King of Thailand as our guiding principle or ‘guiding light’ for the country,” said Thai Prime Minister Prayuth Chan-o-cha, whose country is currently Chair of the Group of 77, in a statement. “‘Sufficiency’ here does not mean to be satisfied with living in poverty, but means to live our lives in a balanced manner and in moderation. People can still become prosperous, but must not exploit others in doing so,” he said. “(The Philosophy’s) key principles of moderation, reasonableness and prudence and its people-centered approach to development find much support in many corners around the world including in my country.” -- Mongolia. Chan-o-cha said that the philosophy has helped Thailand to “overcome challenges and to move forward on a secure footing,” he added. 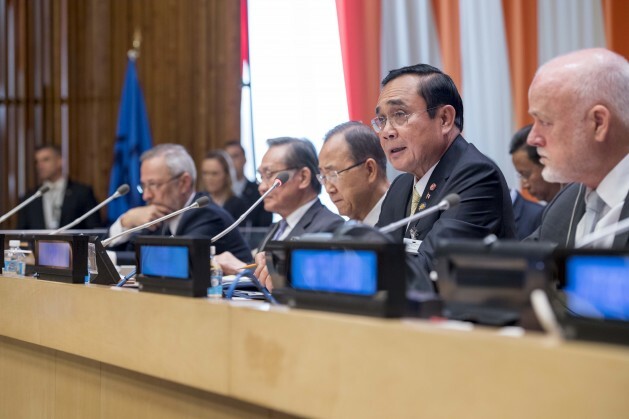 “(We) are pleased to observe how the core principles of Thailand’s Sufficiency Economy Philosophy (SEP) relate to principles which are important for achieving the 2030 Agenda,” said Clark. Many of the countries participating in the debate noted not only the relevance of Sufficiency Economy Philosophy to their own countries but also the similarities between this philosophy and development approaches originating in their own countries. For example, Algeria noted the contribution that Algerian novelist and ecological agriculture pioneer Rabah Pierre Rabhi has made to sustainable development through his contribution of the concept of “La sobriété heureuse” – the happy sobriety. Guillaume Long, Minister of Foreign Affairs of Ecuador. Credit: UN Photo/Amanda Voisard. While Ecuador noted the similarities of Sufficiency Economy to their national concept of “Buen Vivir” or Good Living in English. Guillaume Long, Ecuador’s Minister of Foreign Affairs also observed that ways of thinking that reflect the principles of Good Living are found all around the world. “Many of these elements are not only pillars the Andean world, but are in fact universal in many philosophies of peoples around the world,” he said. “European Aristotelian tradition, but also paradigms that derive from the ancient wisdom of many Asian peoples allow us to find important parallels to the concept of Good Living in the world, and the importance not only of capital but of relationships,” he said. Other countries shared Clark’s views on the relevance of the Sufficiency Economy Philosophy to the 2030 Agenda for Sustainable Development and the Sustainable Development Goals. “With a goal of achieving an economy, society, environment and culture in a balanced, stable and sustainable way, the Sufficiency Economy Philosophy (SEP) is aligned with the 2030 Agenda’s vision of the 17 Sustainable Development Goals (SDGs),” said Bayani Mercado, from the Philippines Department of Foreign Affairs. “(The Sufficiency Economy Philosophy) approach focuses on a number of areas that cut across all the three dimensions of sustainable development in addressing the development issues in balanced manner,” said Amina Mohamed, from Kenya’s Ministry Of Foreign Affairs. “The royal philosophy of Sufficiency Economy is consistent with the SDG goals and targets and it can be applied not only throughout the agriculture sector and rural area but also can be applied in many other sectors,” said the representative from Laos. “My country was provided the opportunity to successfully apply SEP in its agriculture and community development,” said Tonga’s Prime Minister ʻAkilisi Pōhiva. “It is our firm belief that such cooperation and partnership will greatly contribute towards the well-being and welfare of our people,” he said. “The sufficiency village project that is targeting primary school students and vulnerable communities (is) bringing them … new hope and empowerment to unleash their potential in harmony with their environment and traditional way of life,” said Timor-Leste’s representative. In total 21 countries participated in the interactive dialogue, discussing the relevance of sufficiency economy both to their domestic circumstances as well as to the global economy. They were: Tonga, Timor-Leste, Mongolia, South Africa, Bhutan, Algeria, Lao People’s Democratic Republic, Tajikistan, Qatar, Ecuador, Cuba, United Arab Emirates, Indonesia, Zimbabwe, Democratic People’s Republic of Korea, Papua New Guinea, Philippines, Egypt, Kenya and Cambodia. Heartening to see such broad support for the Sufficiency Economy Philosophy (SEP) as it complements the Integrative Improvement development from below approach which I advocate. It seems to be the sort of philosophy that could help all countries transition from the flagging current growth driven market economy philosophy.